Target has a great new home collection for kids called Pillowfort. Have you seen it? It launched in February with 12 different collections. 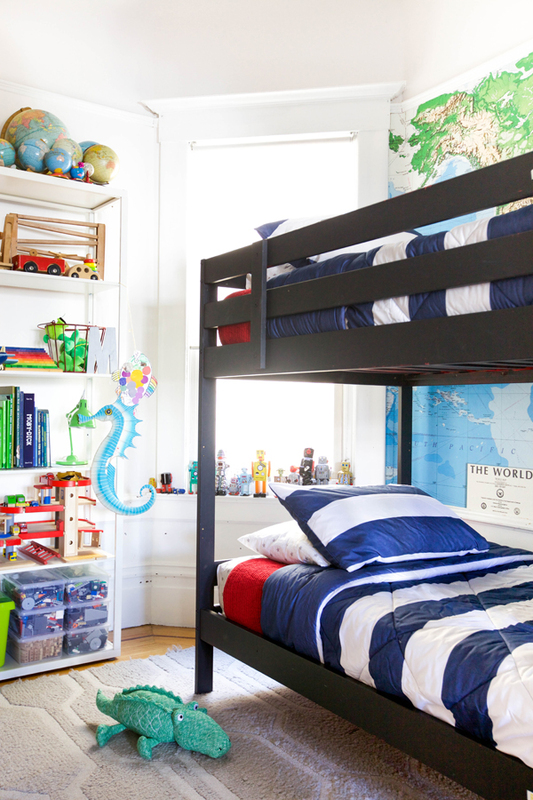 We did a quick refresh of the boys’ bedroom and found so many great pieces. When I decorate I like to put in good basic pieces so that I can easily update or refresh a room. It’s been a couple years since we decorated the boys room but if I’m feeling bored then I’ll spend a Saturday making a small change like: painting the bunkbed a different color or added a bunch of new pillows. For this update we switched out the bedding for a new look but spent most of the time reorganizing the toys. As the boys get older they are less interested in some of the kid toys and we have to deal with the increased number of Legos lying around. Pillowfort has an excellent selection of modern and industrial looking storage bins. 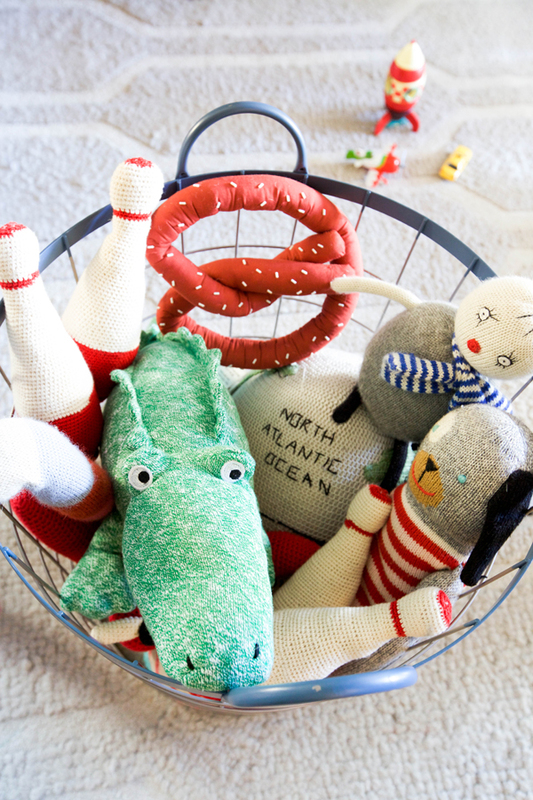 The boys and I both loved the Ocean Oasis and Camp Kiddo collections and thought they fit best with the current look. Where does that giant world map come from? Thanks. I’d love to know how you deal with Lego storage! I think the Target collection is cute but was sad to see the sheets are 100% polyester! I was thrown off by the sheets as well, when I bought some last year. The polyester sheets hold up so much better than cotton. They have an almost silky feel. My daughter’s sheets have held up with no pilling or fading. I’d highly recommend them. I’ve tried the Target polyester sheets and they made my son super sweaty every night we used them. The designs are really cute, so it’s a big bummer. Those wood bins look useful, though! I love this room so much! The bright colors are all so fun! i purchased a few storage items from pillowfort but was also disappointed that the sheets are polyester. why not cotton, target? Perfect timing! 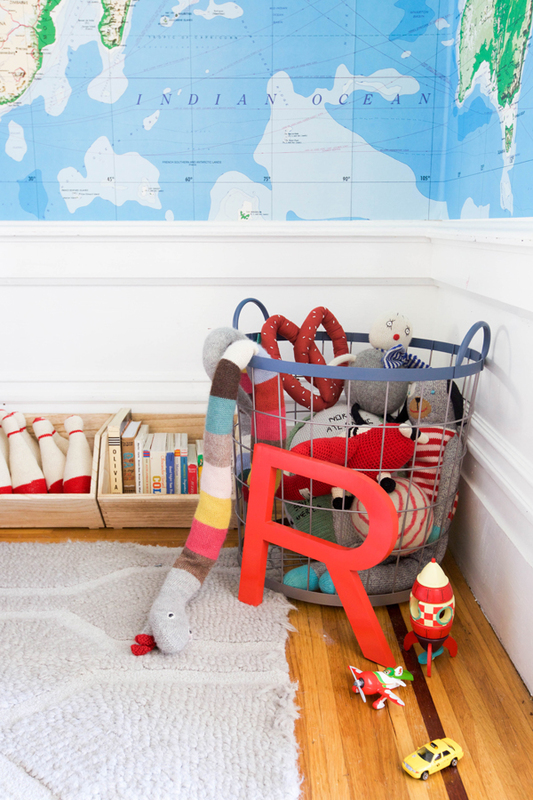 I am updating my son’s room too. We bought him some new pbteen furniture and will be looking at Target for accessories. I always enjoy your decorating posts for inspiration. Thanks! 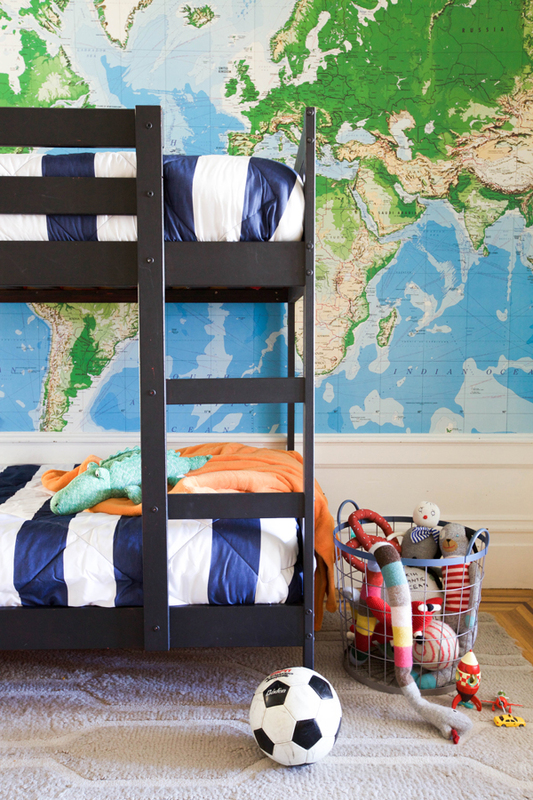 I’ve always loved pictures of your kids’ rooms! Call me another disappointed customer about the sheets. I was excited about the pillowfort collection, had put sheets in my cart and then realized they weren’t cotton and they went back on the shelf. Sad day. I just found Pillowfort at my Target yesterday! I love their stuff, so glad you shared how you used them! 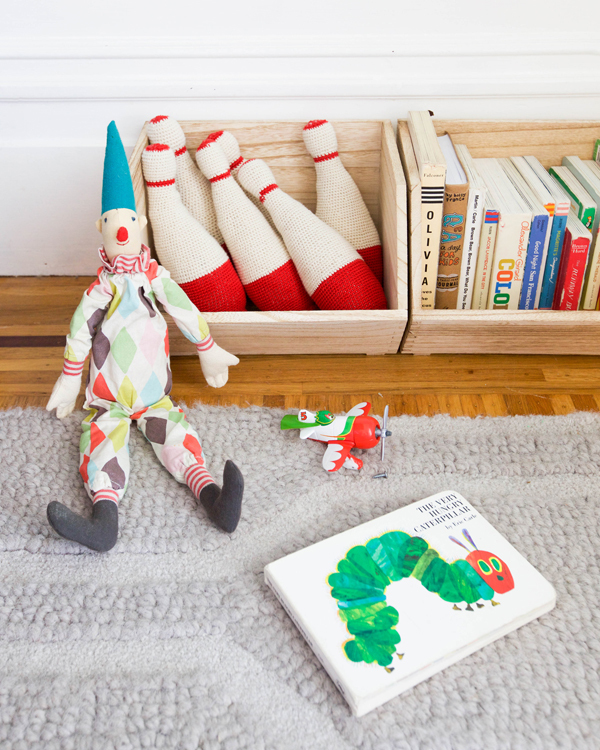 Would you mind sharing where that cute snake stuffed animal is from? My son would LOVE that!